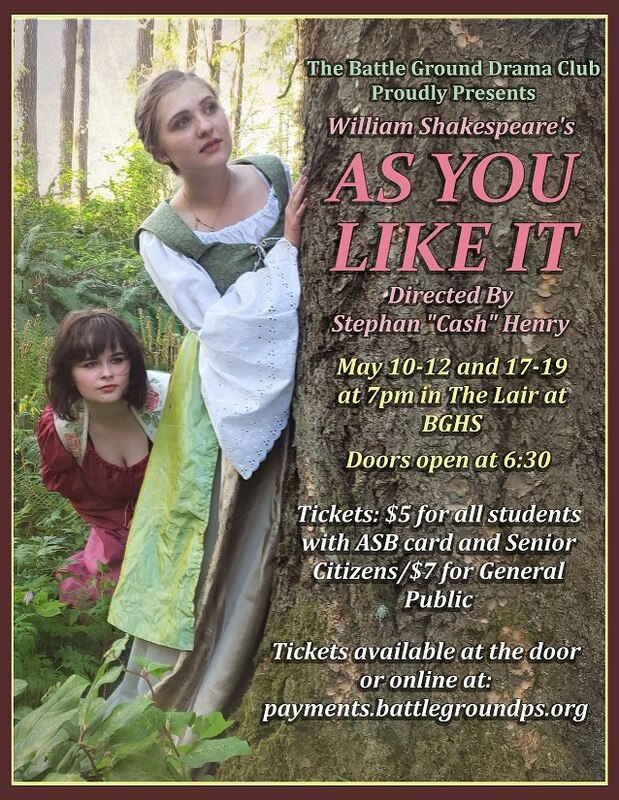 The Battle Ground High School Drama Club is set to perform Shakespeare’s “As You Like It,” a fun play about love, deception, and redemption. The play follows its heroine, Rosalind, as she flees persecution in her uncle's court. Accompanied by her cousin Celia, Rosalind finds safety and eventually, love, in the Forest of Arden. In the forest, they encounter a variety of memorable characters, notably the melancholy traveller Jaques, who speaks many of Shakespeare's most famous speeches (such as "All the world's a stage," "Too much of a good thing," and "A fool! A fool! I met a fool in the forest"). Jaques provides a sharp contrast to the other characters in the play, always observing and disputing the hardships of life in the country. The show runs May 10-12 and 17-19. Performances will be at Battle Ground High School in The Lair, 300 W. Main St., with the doors opening at 6:30 p.m. and performances beginning at 7 p.m. Tickets cost $5 for students and senior citizens and $7 for the general public. Tickets are available for purchase at the door on performance dates and online at https://payments.battlegroundps.org. Battle Ground Public Schools staff can get a special discounted rate of just $3 per ticket by purchasing tickets at the door. Simply show your BGPS ID at the door to receive the reduced rate. 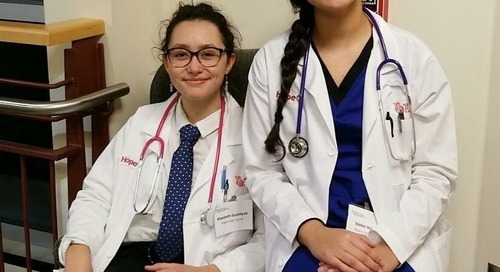 Thursday, May 10, 7:00 p.m.
Friday, May 11, 7:00 p.m.
Thursday, May 17, 7:00 p.m.
Friday, May 18, 7:00 p.m.
Saturday, May 19, 7:00 p.m.
We look forward to seeing you at Battle Ground High School for this fun and funny production!